As the Empire of the Sun crumbles upon itself and a rain of firebombs falls upon Japan, the final death march of a nation is echoed in millions of smaller tragedies. This is the story of Seita and his younger sister Setsuko, two children born at the wrong time, in the wrong place, and now cast adrift in a world that lacks not the care to shelter them, but simply the resources. Forced to fend for themselves in the aftermath of fires that swept entire cities from the face of the earth, their doomed struggle is both a tribute to the human spirit and the stuff of nightmares. Beautiful, yet at times brutal and horrifying. 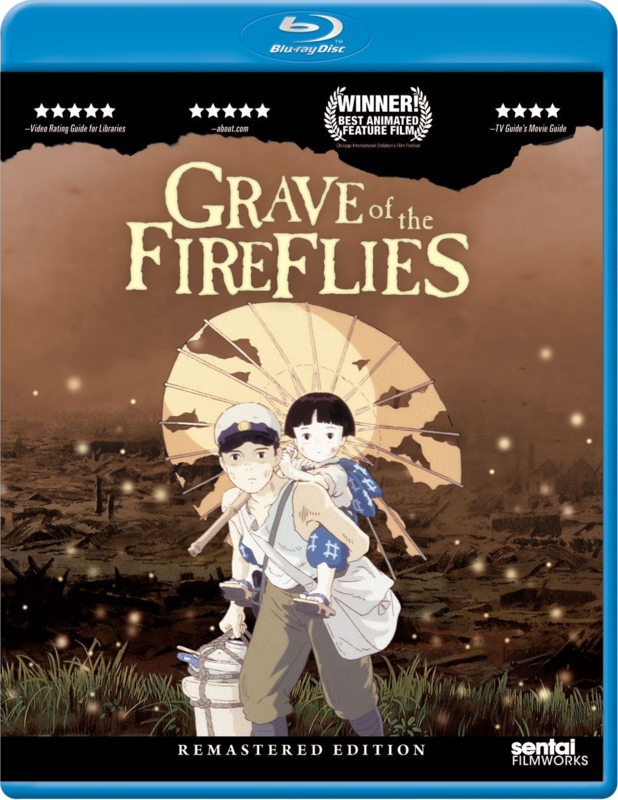 Based on the retellings of survivor Nosaka Akiyuki and directed by Iaso Takahata (co-founder, with Hayao Miyazaki, of Japan's legendary Studio Ghibli,) Grave of the Fireflies has been universally hailed as an artistic and emotional tour de force. Now digitally remastered and restored, it is one of the rare films that truly deserves to be called a masterpiece.